Bobby Moore was born in Barking, Essex and attended Westbury Primary School and Eastbury Secondary Modern. He played youth football for both schools. His senior team career began in 1958 with West Ham United, and he debuted against Manchester City on 8 September that year, immediately becoming a regular first team player. 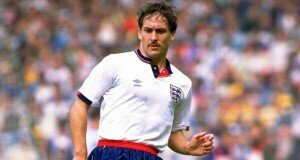 He played for West Ham for 15 years, and in January 1974 played his last match for them against Hereford United. He transferred to Second Division Fulham for £25,000 and played for them until his final game in May 1977. Brief appearances followed with two North American soccer teams, San Antonio Thunder and Seattle Sounders. Moore nearly missed out on playing in the 1966 World Cup after letting his contract with West Ham United lapse, but after intervention by the England team, he re-signed with his club and went on to captain the England side in the tournament of a lifetime. After winning the World Cup with some dramatic play, Moore was picked for the England side again in the 1970 World Cup, but England were defeated by West Germany and they exited the competition after reaching the last eight. Professionally retired in 1978, Bobby Moore tried his hand at management with Oxford City, Southend United and Hong Kong Team Eastern AA but none of the teams did particularly well. His business ventures, including a sports shop next to the West Ham United ground, began to fail and he eventually became a sports columnist for the Sunday Sport and a commentator for London’s radio station Capital Gold. On 14 February 1993, Moore announced to the World that he was suffering from Bowel Cancer. He’d already undergone an operation two years earlier. Only ten days later, Bobby Moore was dead. 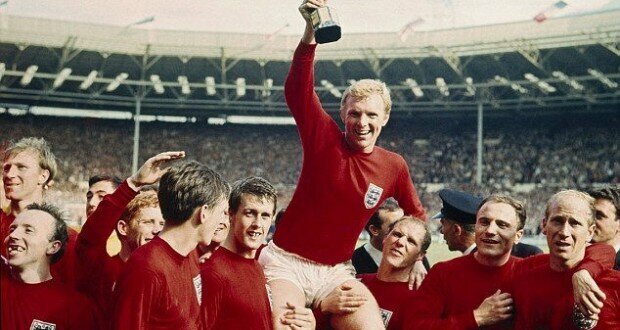 Cancer Research UK has a Bobby Moore Fund dedicated to raising money for research into the disease.